September 2017 – Ricardo Teixeira – Transforming lives and accelerating productivity! How to make better and awesome decisions? I haven’t been doing nothing in english… And the reason is simple: DECISIONS! 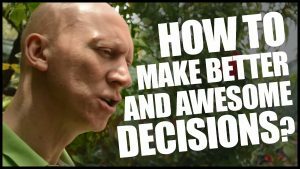 So in this video I talk about making decisions… So many time we help others to decide and most of the times the right call. So, how to decide well when it’s about us? Now, I made a decision… I will do a video per week just for you.